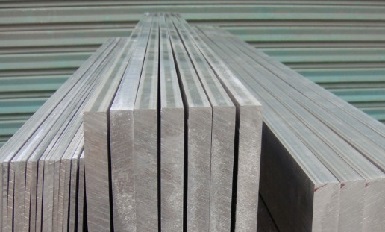 Incoloy 800H, also known as “Alloy 800H”, is designated as UNS N08810 or DIN W.Nr. 1.4958. It has almost the same chemical composition as Alloy 800 except that it requires a higher carbon addition resulting in improved high-temperature properties. 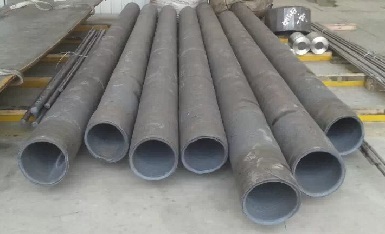 Compared to Incoloy 800, it has better creep and stress-rupture characteristics in the 1100°F [592°C] to 1800°F [980°C] temperature range. While Incoloy 800 is usually annealed at at approximately 1800°F [980°C], Incoloy 800H should be annealed at approximately 2100°F [1150°C]. 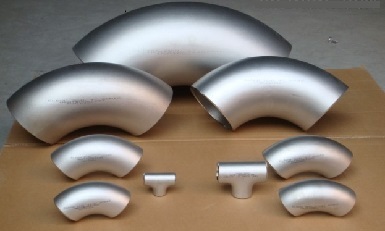 Besides, Alloy 800H has a coarser average grain size in accordance with ASTM 5. 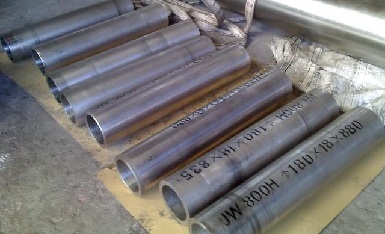 Incoloy 800H seamless pipes cut into pieces. 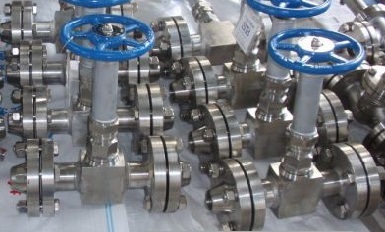 O.D=180mm, THK=18mm. 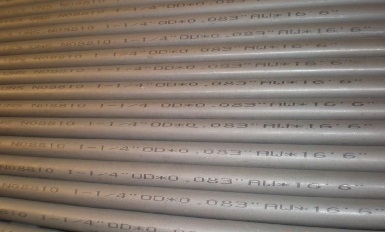 ASTM B163 UNS N08810, Incoloy 800H seamless pipes, 1-1/4″ x 0.083″(W.T) x 16.6′(L).